Tenet Healthcare Corp.'s Hospitals of Providence Transmountain Campus, the nation's newest teaching hospital, sits between two neighborhoods of El Paso, Texas—one low-income and another much more affluent—with vastly different health demographics. For Nicholas “Nico” Tejeda, the hospital's CEO, that creates an opportunity to study those differences and, ultimately, to bridge the gap. “Both of these populations are going to consider this their hospital,” Tejeda said. Health equity is a passion for Tejeda, who has served on the American Hospital Association's Equity of Care Committee and as a member of the National Forum for Latino Healthcare Executives. There's also another problem he wants to address. The ratio of doctors to population in El Paso is only about half what it is nationally. The new teaching hospital, a partnership with Texas Tech University's Health Sciences Center, should help, bringing in medical students and residents who may stay in the area. Tejeda, 37, doesn't shy away from communitywide problems. As a leader on equity issues interested in helping address systemic problems, Tejeda is being awarded the ACHE's Robert S. Hudgens Memorial Award for Young Healthcare Executive of the Year. 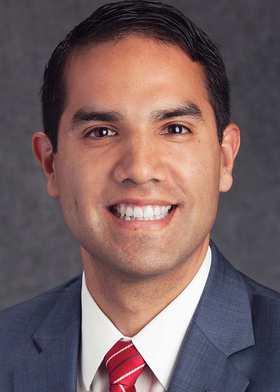 Tejeda went to El Paso after being CEO at Doctors Hospital in Manteca, Calif., and served a brief stint as CEO of the Hospitals of Providence East Campus before being tapped to run the new teaching hospital. Tejeda developed a feel for the impact healthcare providers can have when he was growing up in Wichita, Kan., working in his family's pharmacy, where his father always stressed treating customers well and remembering they were often sick and didn't want to be there. Later, while working in patient registration at St. Rose Hospital in Hayward, Calif., Tejeda got to know the CEO and said he came to realize he might be able to use his father's ethic for caring service in a bigger way through a career in hospital administration.